There is only one InsureDirect and InsureDirect.com. Although there are a number of copy-cat websites using our name; InsureDirect.com® is the only Federally Trademarked Nationally Licensed Insurance Agency on the World Wide Web. InsureDirect.com, Insure-Direct.com is the only U.S. Insurance Agency of the same name on the internet which holds two (2) Federal Trademarks and 46 Property and Casualty & 46 Life and Health Insurance Licenses approved by the affiliated Departments in those states. Although the InsureDirect.com website was established in 1998, its parent company, Combined Insurance Group, Ltd. (CIG); was founded by the company’s President, Michael E. Dortch in 1992. At that time, CIG was the first licensed independent auto insurance agency in the State of Pennsylvania to market auto insurance products state-wide via the telephone and later by the world-wide web. Throughout the 1990’s CIG and InsureDirect expanded its reach to the states of New Jersey, Delaware, Maryland, Virgina and Florida. 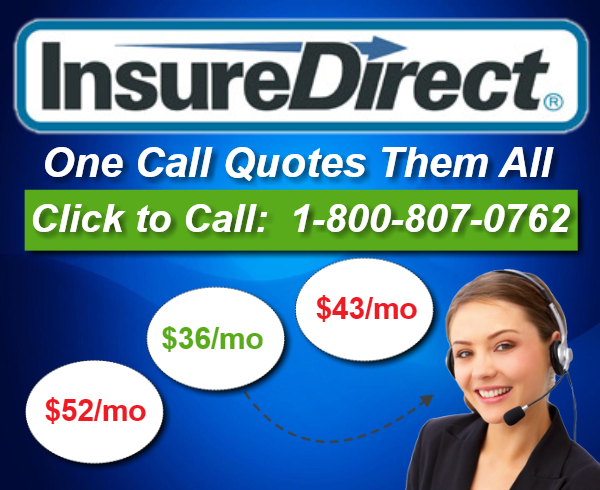 Beginning in the year 2000, InsureDirect.com expanded its auto insurance sales network nationwide. InsureDirect.com is a full service insurance agency marketing Auto, Home, Renters, Commercial Truck, Motorcycle and Health Insurance. Use the links above to quote and buy insurance coverage or for faster service call Toll-Free (800) 807-0762.